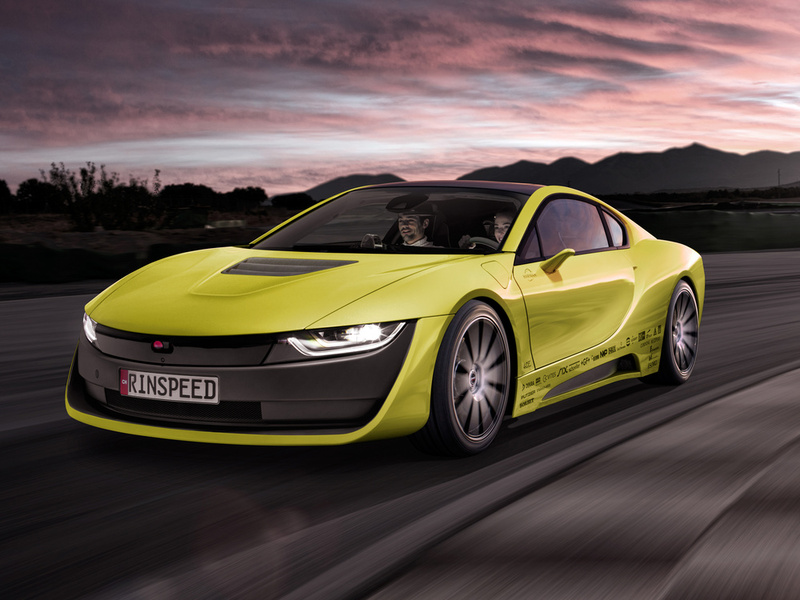 For the first time ever, Rinspeed is to debut a concept car outside of its Swiss homeland, choosing the Consumer Electronics Show (CES) in Las Vegas for the world premiere of its new autonomous Etos. 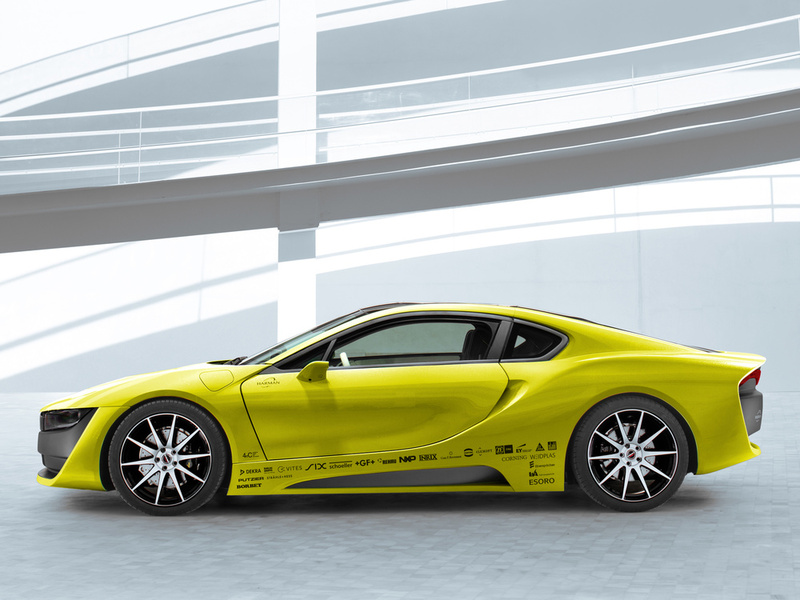 Based on BMW i8 underpinnings with design by the specialist team at 4erC, the Etos is described as a sustainable but also a fast racer. The coupe bodywork utilises lightweight materials with an aluminum front structure bonded to a carbon fibre passenger cell, topped off with smartphone-style Gorilla glass for the roof. The Etos is fitted with an on-board drone complete with landing platform in the rear (also made with Gorilla glass), fitted with 12,000 individually controlled LEDs which can transform it into an electronic message board or a visual dancefloor. The drone itself can provide some very useful services, says Rinspeed, like picking up a bouquet of flowers ordered on the way home or shooting a selfie of your drive and streaming it live to your friends. The technical highlight in the interior is the folding and retracting steering wheel from ZF TRW, which disappears into the dashboard in a few seconds, creating lots of space in front of the driver who can then read a book in comfort or work in a more relaxed atmosphere. An intelligent infotainment experience, provided by Harman Connected Car technologies, gets to know the appointments, wishes and needs of the occupants and then proactively offers up tailored selection options accordingly. This reduces the number of manual entries required but when necessary, the system responds to voice commands, gestures, touch input, controller or the push of a button. A total of eight HD exterior cameras provide 180-degree panoramic views in front of the vehicle and behind, acting as virtual exterior mirrors with an expanded field of vision and no blind spots. 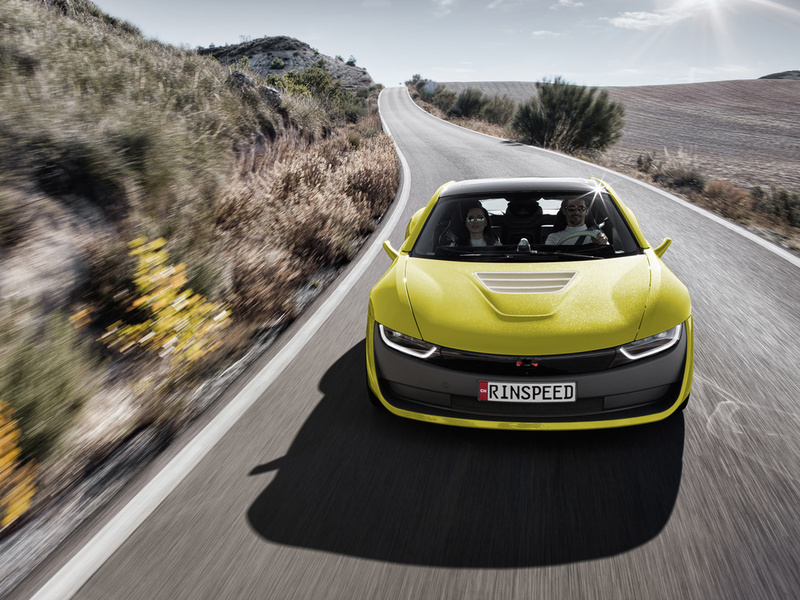 The Rinspeed Etos will make its global debut at the CES, from 5-8 January, 2016, as part of the HARMAN event in the Muse Hall of the Hard Rock Hotel in Las Vegas. Its European premiere will follow at the Geneva Motor Show in March.